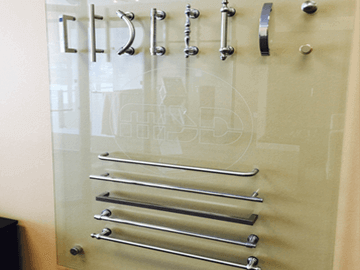 The Shower Door Source designs and manufactures a complete line of heavy glass, frameless shower enclosures ranging from standard tub slider units to custom multi-panel units. 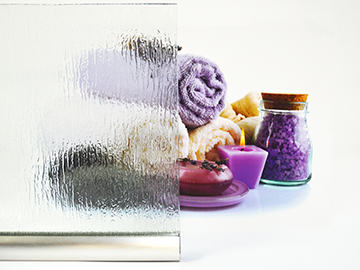 Our shower enclosures are all manufactured from heavy glass (3/8" or 1/2"), and can be clear, tinted, or patterned design. Installed with great precision using the finest materials available, our frameless, heavy glass enclosures become the pride of your bathroom. We will work directly with you, your contractor, or your designer to help design the shower enclosure to fulfill your bathroom needs. Doors and panels are fit to very close tolerances to help keep the water in your shower and are easy to keep clean. Call or come into one of our Oklahoma City showrooms and we will be pleased to work with you to design your luxurious shower enclosure. Please see our galleries to view the many options available. 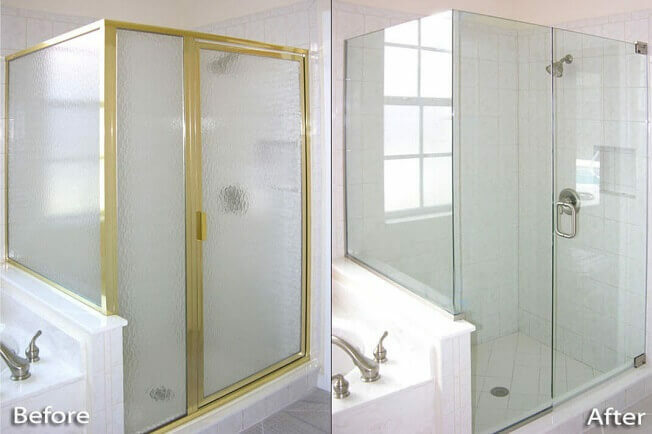 Welcome to Oklahoma’s #1 SOURCE for all heavy, frameless glass shower doors and enclosures! 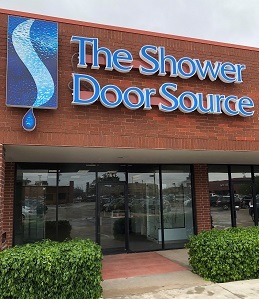 Opened in May 2011, The Shower Door Source has been providing the highest quality products and installations to our customers in the Oklahoma City Metro area and beyond. 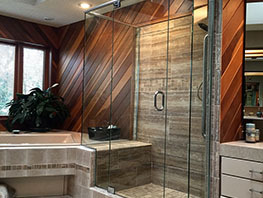 Now, with 2 showrooms located in North and South metro area to serve you, we invite you to come in to one of our showrooms and see how we can help you create the bathroom of your dreams with a shower surrounded by 3/8” or ½” thick, heavy, tempered glass. With our wonderful Diamon Fusion glass protection system, you can protect your new shower enclosure from permanent damage from hard water deposits and have glass that is finally easy to clean and take care of! Just pure beautiful heavy glass that lets your tile show off its great character. When you choose The Shower Door Source, you will know it is a luxuriously designed enclosure that will make your bathroom special. You will want to show all your friends your new shower enclosure. Please visit our one of our showrooms and let us show you the many ways you can make your bathroom the pride of your home. Come see why we are Oklahoma’s #1 SOURCE for all your frameless shower door needs. This is all we do…AND WE DO IT RIGHT! 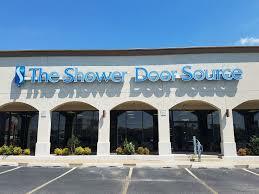 So come to the SOURCE, The Shower Door Source! HELP US HONOR THE FINEST ON THE FORCE! Do you know a law enforcement official who makes an impact on their co-workers and the community on a daily basis? The Shower Door Source and News 9 are partnering to honor our state's Finest on the Force. Nominate a deserving member of law enforcement today, and they could win $1,000! We specialize in the design and installation of the finest quality shower doors, and the best way to experience them is in person. Our two convenient showrooms located in north and south Oklahoma City offer the largest array of frameless heavy glass shower doors on full-size tiled units anywhere in the State. Come to see what we have to offer, browse our top-of-the-line designs and let us show you how to create a diamond in your bath. You will be amazed!